Once they're gone at this price, they're gone! On special offer this month we have these amazing professional mini straighteners from Haito. 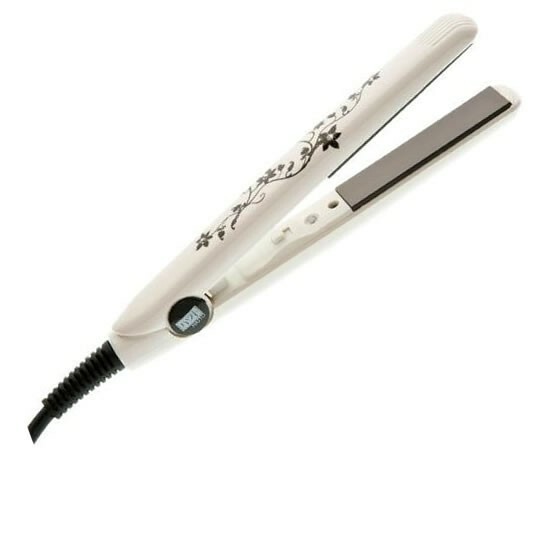 The stylish white straighteners feature an eye-catching flowers design and diamantes set in to the body. The ceramic technology and advanced PTC heating element provides a regulated system that delivers consistent, controlled heat for styles that are sleek, smooth and straight, or naturally bouncy, and curly. The 100% Solid Ceramic plates mean these incredible mini straighteners glide through the hair easier than traditional plates and the fixed heat reaches a massive 200°c. Perfect for travelling, touch ups, or even to pop in your bag and take to work, these super stylish straighteners are a must-have at this price!